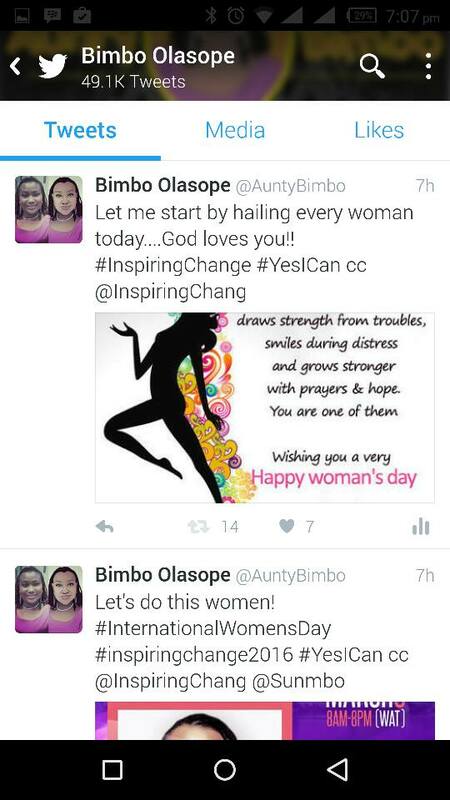 Women Should Support One Another Right? 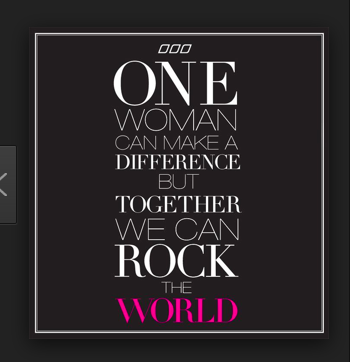 Its not strange to see some women say men are their best friends because according to them having female friends usually ends up in backbiting, jealousy and envy. 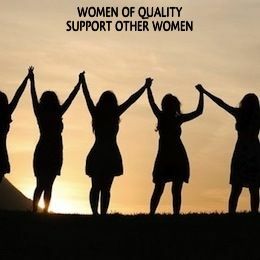 Personally, I won't say I haven't experienced this because in the course of my life journey I have had quite a number of women I called friends disappoint me but truth be told, I have also had a few female friends also support and stand by me through thick and thin. 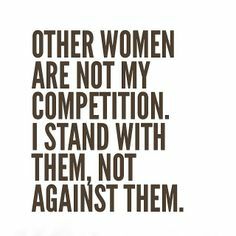 Like the saying goes, we shouldn't throw the baby with the bath water so it is important that we as women support other women which ever way we can and continue to hope that someday, all women will come together in one accord and not see one another as rivals or enemies. 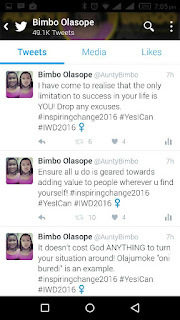 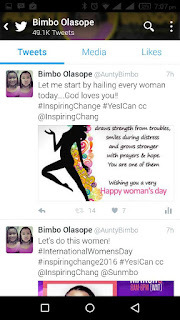 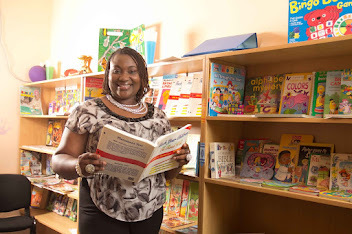 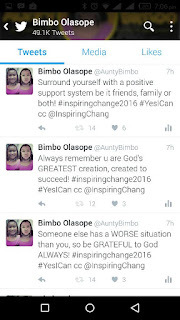 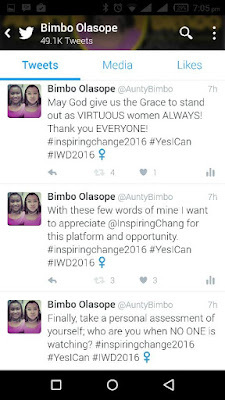 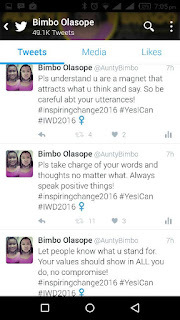 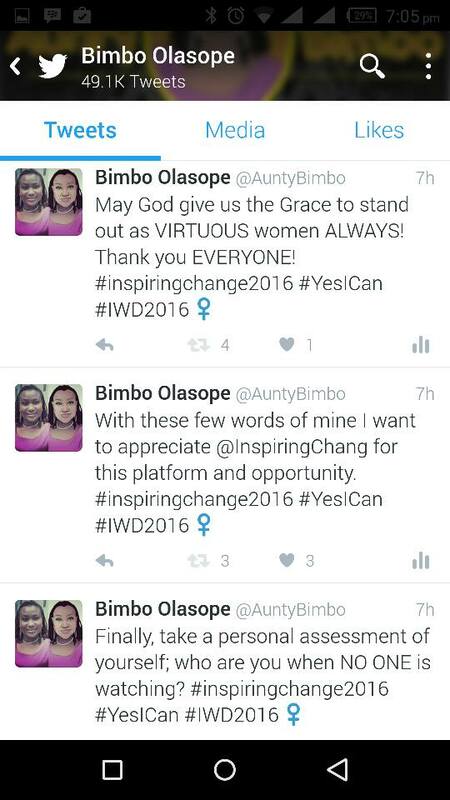 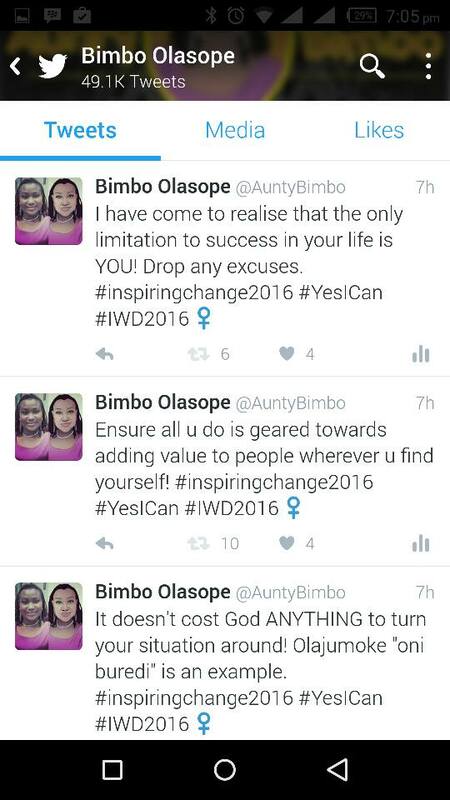 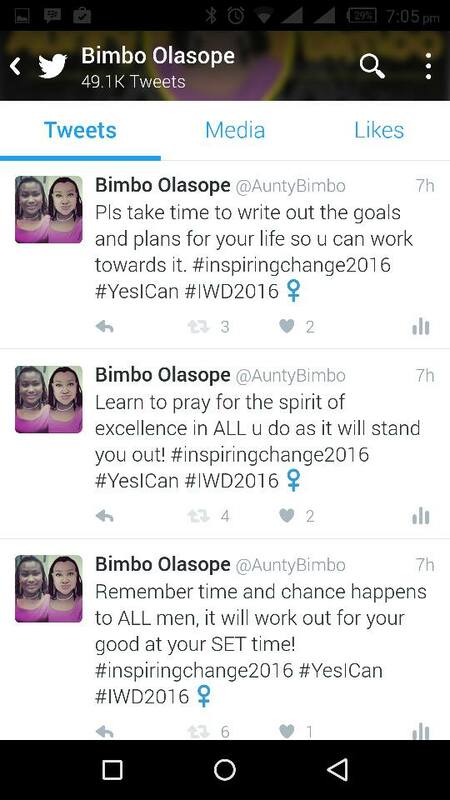 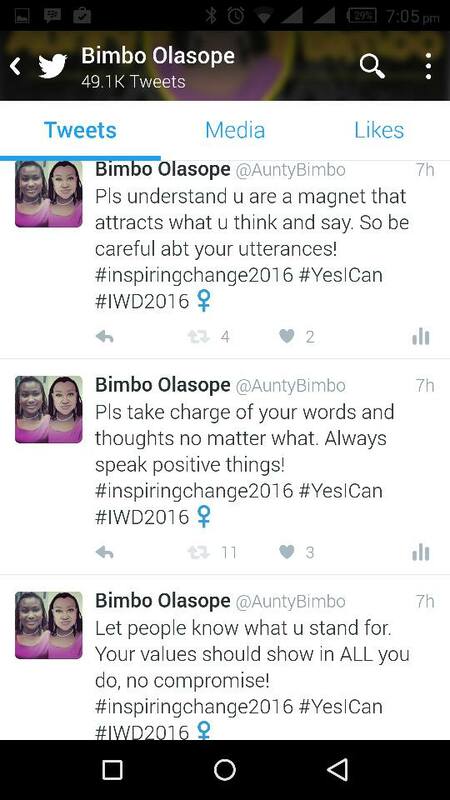 In light of this, I was privileged to be chosen to be part of the Inspiring Change Tweet conference organised by Sunmbo Adeoye who many used to know as singer, Tuface's baby mama until God turned her situation around and she is now the wife of a pastor. 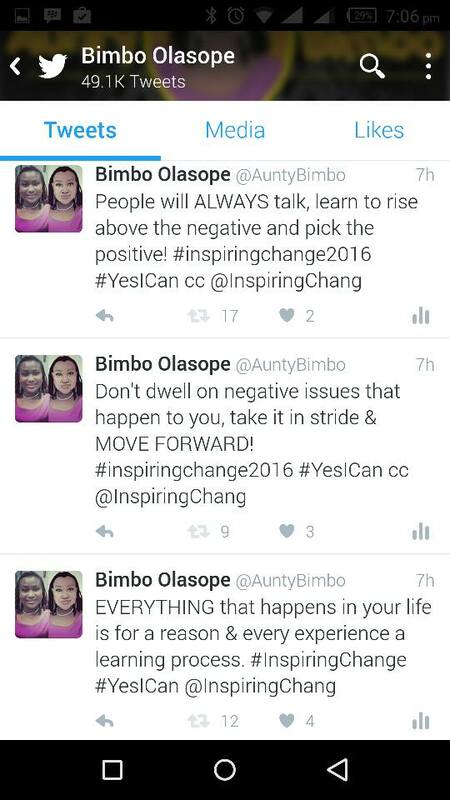 With this position, she now uses her past pain, reproach and struggle to encourage other women hence the Inspiring Change Conference. 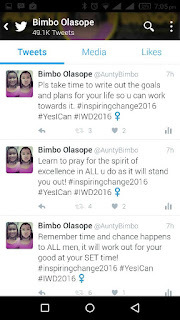 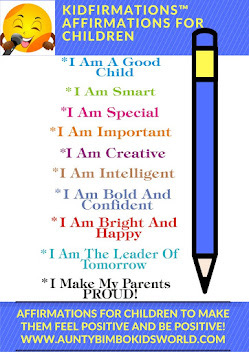 The Tweet part of the conference took place on International Women's Day on the 8th of March and I have decided to share my part of the session as it might also help encourage another woman to keep her head up. 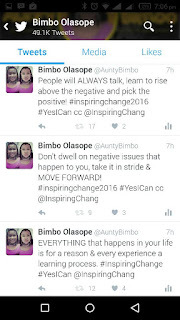 They are just statements that have come out of my own struggles in life both as a single mum and a woman trying to live her life with the hand that fate has dealt. 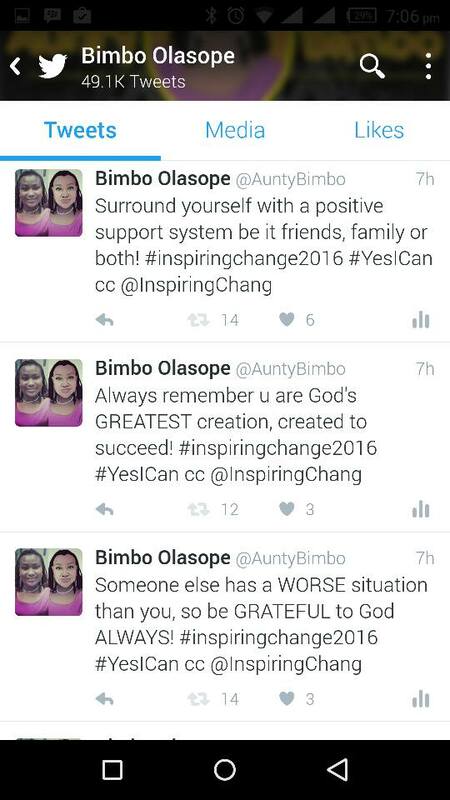 These words still continue to keep me going and I hope it helps someone on their life journey to ensure that we live fulfilled lives devoid of unhappiness or depression.